Monday 29th April to Monday 15th July. Short half term Monday 27th to Thursday 30th May. 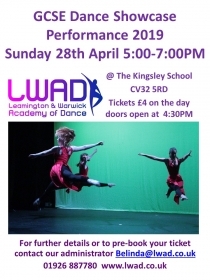 Over the last fifty years the Leamington and Warwick Academy of Dance has established itself as the largest and most diverse dance and performing arts school in Warwickshire. The Academy has seven centres serving the whole of Leamington, Warwick and Southam. The highest quality of tuition is assured. 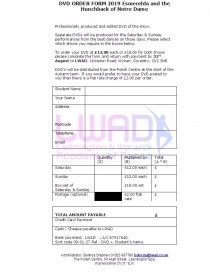 LWAD teaches the prestigious Royal Academy of Dance ballet syllabus. The Academy provides excellent tuition for students of all ages in the core disciplines of Ballet, Tap and Modern Jazz. It also offers a full range of classes such as Contemporary and Street as well as GCSE courses. Our faculty of Performing Arts offers a full range of courses including teacher training. Read more about our senior performers group, Synergy, on their page and the successes of past and present pupils.